Sometimes I post some stinkers. 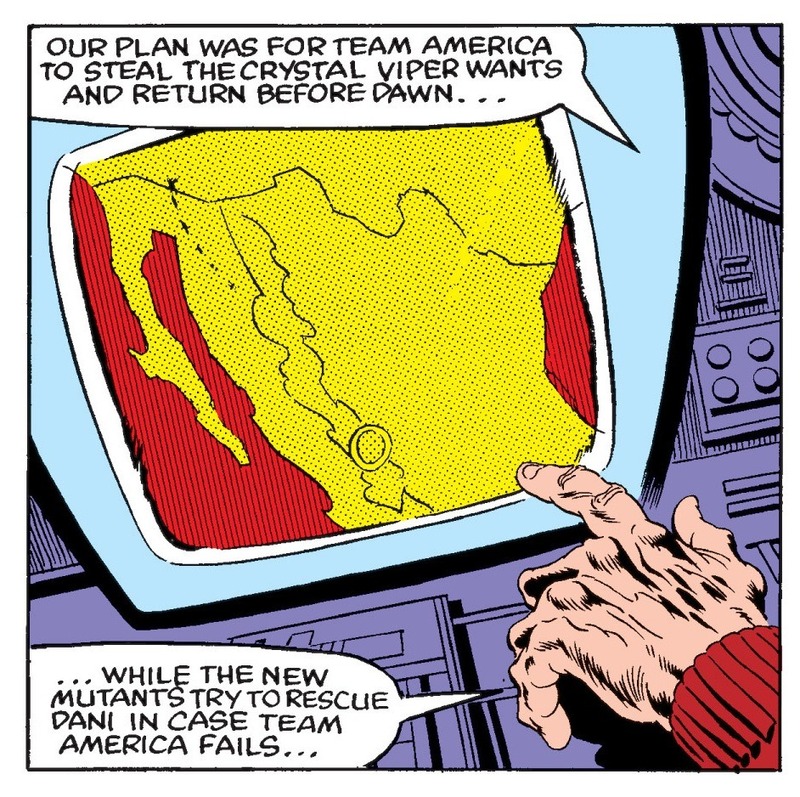 Sure, there’s some brilliant work by Eliot R. Brown or Jaxon, but did I really need to post this Sal Buscema map of Mexico? Or this geometric map of Radiant City by Jaime Hernandez? Obviously, my answer is going to be, “Yes, I did need to post them,” and not just because of Professor X’s gnarly knuckles or those sweet hairdos Jaime always draws. There are a couple reasons I like to post maps regardless of their level of whimsy or detail. 1) The first reason I post “bad maps” (and this speaks specifically to the subject of Professor X’s pointing) is because I want the data! I’m interested in how often different countries get represented, the level of detail, the context of those countries in a panel. In globes, do certain countries face the reader more often than others? Do countries have consistent color palettes across different times and artists? The only way to draw conclusions to questions like this is to collect all the examples I can find. Then I can write a book about it and become rich and retire at a young age. 2) The second reason I do this has been called, in this somewhat-famous Reddit comment, “transformative fandom.” Basically, instead of saying, “This map is bad/lazy/worthless,” I want to ask, “If this is how the map is shown in the world of the story, what does that mean?” In talking about this point, I want to focus on the Jaime map of Radiant City. 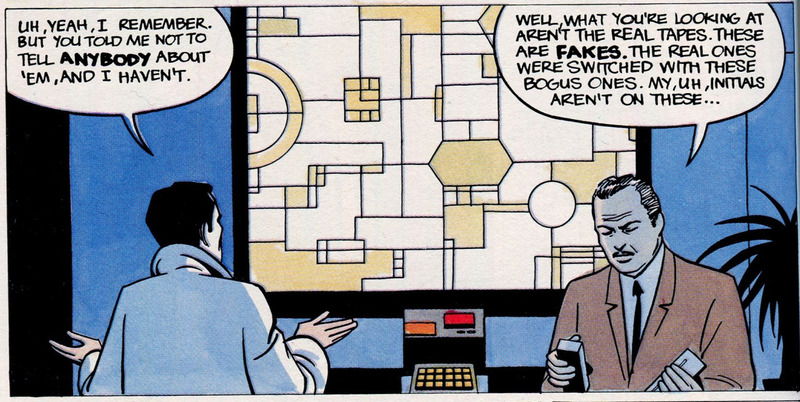 It’s very easy to assume that the artist just threw some abstract shapes up on the panel in an attitude of just getting the drawing done or wanting to focus on the human elements of the story. But couldn’t it be fun to assume that these shapes are a real and accurate representation of a city? The black lines must be roads, right? They can’t be buildings, since no one would shove buildings that close together. What could the different colors represent? We know that Mister X built Radiant City as beautiful pyschotecture, but the city was altered after he abandoned the project, and those alterations end up driving people mad. Does the yellow shading represent the changes that were made? Many of the yellow areas break up a grid with unusual shapes: a hexagon near the middle, those two concentric circles on the left. Stuff like that certainly drives me crazy when I’m trying to drive around. Sure, I could handle that one circle in the bottom right, but two concentric circles? With my luck, they’re probably one-ways, so I couldn’t even just turn around. This sort of transformative fandom has history both in comics and outside of them. The Elder Scrolls fandom (such as the Elder Scrolls lore subreddit) combs the games and their paratexts for bits of info in order to compile sweeping theories about the world of the games. One of the mottoes driving their approach is “boring and therefore wrong,” which means that they should avoid statements like, “This character was portrayed in a certain way due to the limitations of the computers of the time” and instead look for more intricate and entertaining answers. Transformative fandom in comics seems extra applicable, though, since comic readers are already forced to decide what happens in the narrative gaps that occur between every panel. Also, there’s the vaunted No-Prize. It was awarded to Marvel fans who chose to explain away perceived continuity mistakes with research, pseudoscience, magic, and more. This was an incentive for fans to participate in the creation of the stories, and it was set in opposition to those fans who would only nitpick and call out mistakes.